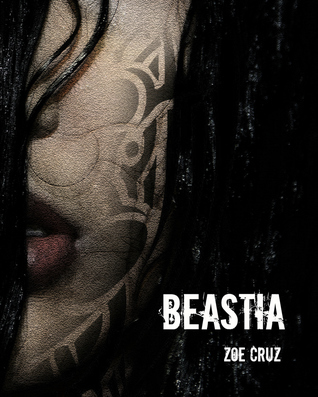 So I’m part of the blogging tour for Beastua written by Zoe Cruz! 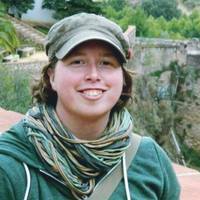 Shout out to Andrea Thatcher who organized this Blog Tour. The meanest of the mean girls, Rebekah Austin rules her Chicago school with sharp outfits and an even sharper tongue. She has a way of making even the most beautiful and brilliant girls in her class feel like dirt. But underneath the queen-bee façade is someone who feels ugly, repulsive…beastly. When Rebekah falls prey to a madman, the bully becomes the bullied. Scarred and tormented, she abandons her previous life and adopts a new identity, but her ghastly appearance haunts her everywhere she goes. Only with the help of determined friends can she move past her horrifying experience—and maybe even let herself be loved. And if the madman returns to finish what he started, will she be ready, or will she give up hope? I love traveling, writing, reading, and binge watching my favorite shows on Netflix. I’m a geek too. Anything from classic Tortallan and Hobbit lore to a DS9 Trekkie and a Browncoat. I love any good sci-fi and fantasy book, show or movie. I’ve lived in Spain for almost four years, so adapting back to U.S. life for now. The premise is a lot of fun. A twist on Beauty and the Beast, this time with a girl in the “beast”-role. I found this very interesting, definitely because there is a lot of pressure on women to look a certain way in today’s society. The book is written in a very fast paced way, it just really grabs you and pulls you along for the ride. I enjoyed this pacing in a way because of my massive reading slump and this really helped me get over that a bit by just making me want to read more and get to the ending sooner. But the speedy pacing really also left things a bit superficial. I feel like sometimes it dances around a bit (too) much to get a lot of depth to situations at times, sometimes you just seem to get some snippets from Bea’s life where there is a lot of telling instead of showing going on. It also left me feeling pretty detached from Bea herself, and I love feeling connected to the main character in a story. And I did miss that here. Especially because, like Beast in the original story, she is very defensive about a lot of things which make her seem very unlikable to people. We know it’s just a facade and her way of protecting herself, but when you add this to the high pace it leaves you at a certain distance from Bea. In a way it’s nice that everyone here seemed to have a bit of a complicated backstory, because people are complex and no one really has it easy, but at times it felt a bit much. In the end it was a fun read and a quick one at that. Sidenote: this is great timing on the publisher’s part what with the new Beauty and the Beast movie coming out! So, New Year’s has come and gone, and it has been a solid two months since I last posted anything on this blog. So maybe it’s about time that I fixed that! 2016 has been a year which for me wasn’t a great reading year and an even worse blogging year. I’ve struggled and failed at my goodreads goal of reading 52 books. I only read 45 books in 2016 and I don’t even know how few of those I’ve reviewed (and I’m not inclined to check the stats on that one either!). It has been a year for me personally where I have also struggled to find what I want to blog about and how to go about that. But besides blogging I did do a lot of fun stuff this year. I went to Ireland and La Gomera, I ran a 10K, had a real good time with my friends, and turned 25 to boot. Nobody can look into the future, but that won’t stop me from trying to set some sort of goals for 2017. Once again I set my reading goal for 52 books (and have yet to finish reading my first book of the year, so it’s looking good on that one already!). I also want to get back into running (because I haven’t run since that 10K and that’s just a shame!). I also hope to find my blogging mojo again as well as my love for reading. 2016 has been a year in which a lot of things happened globally speaking, and from looking at the news most of if wasn’t all that good (or I can just go ahead and say that a lot of it was really bad actually). So I just wanted to say that I think 2017 should be a year where we try to look at the positive things in life, without ignoring the bad, and find a way of giving our life meaning in profoundly positive ways. Let’s not let hate become part of our life, but find love wherever we go. Have you set any reading goals for 2017? What are your thoughts on 2016? Let me know in the comments below! Back when I was little I used to only read books in Dutch, my native language. But after our move to the US I started reading in English because these were the books that were available to me. After moving back to Belgium I continued reading in English, but also some Dutch. At first reading English books was just a way for me to keep hold of this language, now that I’d mastered it. But now I see myself drifting away from the Dutch books if they were originally written in English. I have a couple of reasons for this, and here is where I tell you why. However great a translated work is, it will always carry a bit of the translator with it. This is not necessarily a bad thing, this is just something that happens. They color the story a bit with their unique flavor of writing and sometimes they even adjust the book just a smidge because certain things don’t make sense in a different language (a popular one here is names). The translated works will always differ from the original more than just the language it is written in, and sometimes this is not a problem at all, sometimes it can be. Dutch is not a language that is spoken world wide, in fact not a lot of people speak it. We in Belgium speak it (the Flemish part of Belgium that is) and people in the Netherlands speak it too. (Some ex-colonies also speak Dutch) All in all it’s safe to say that the Netherlands are the biggest group of Dutch-speaking citizens. Being the biggest group they spend more time/money in translating literary works to Dutch. It’s great that this causes more books to be translated to Dutch than there would be if the Netherlands didn’t exist (or spoke a different language). The thing with Dutch is that just like any other language is that there are different dialects within the language (just like with British English, American English and all the other kinds too). Reading books that were translated by a person from the Netherlands isn’t the same as reading a book from a Belgian translator, they use words we never do or differently than we do. And sometimes it’s these differences that make me feel a bit more distance to a book. A reason because of which I will reach for the original work 100% of the time is if the translation was done too fast. I’m talking about books that are coming out in the middle of a hype-epidemic and there is just a lot of pressure for the publishers to get the book out ASAP. It’s very often in these books that you find either sloppy translations or sloppy editing. In any case, you find turns of phrases that just don’t work in the language you’re reading the work in, where it was just clearly translated verbatim. I’m sorry, but it doesn’t work that way. That’s exactly what I mean in the first reason for reading original works. It’s always up to the translator to pick how they are going to take these turns of phrases and translate it so that it works in the new language. My favorite example is that I once read a book in Dutch that used the literal translation for “a robin’s egg blue sky”. This is not a thing in Dutch, there are a lot of words that can describe different hues of blue, but this isn’t one of them. In my opinion it is up to the translator to pick a good fit here, so we don’t feel these rough patches. This book clearly had a case of ” the speedy translation” because there were so many pieces were I could just tell exactly what the original text would be in English, it was a huge bummer. So if you are someone who speaks a second language, let me know how you feel about translated works! Do you agree with some of the things here or do you feel differently? Do you have other reasons for wanting to read the original books? And to people who don’t read (a lot of) books that weren’t written in English, do you easily find translated works in your area? Since my blogging is less than regular these days I have decided to play catch-up with my overdue reviews by doing a couple of shorter reviews at once. Maybe this will help banish the looming tower of books that need reviewing to a more acceptable stack. I like these books but they are pretty annoying to review. All the reviews I’ve done of the previous books feel like a variation on “fun characters, enjoyable storyline”. And it’s true for every one of the books. I just don’t know what else to say (mainly because I just keep waiting too darned long before getting to the review, and that just seems to be what these books boil down to). So this is me saying the characters and the storyline are still fun in 6-14. I have grown weary with the recap every time, but that’s what you get when you binge-read a series with recaps I guess. I read this book in Dutch, but it’s actually a Swedish book. I’m a big fan of Scandinavian crime fiction and this did nothing to make me feel differently about that. It was a very well done crime story that really had me reading fast by the end just to see how things would end. I have most of this series if not the complete series, and I will definitely keep reading these books as they will most likely be awesome too. To those who follow this blog, maybe you might have noticed that I have not been the most consistent blogger this week (not that this fact was new, because before summer I wasn’t all that consistent or present either, but this time I have a reason which changes things! (right?) ). This is where I tell you what I have been up to these past couple of weeks! Around the end of July a friend and I went roadtripping through Ireland for a week and that was amazing! We had great weather, we saw beautiful nature and just had an all round epic time! The people were really friendly as well, as everyone told us they would be. Killarney National Park, such a beautiful lake! I think this was some where around the Ring of Kerry, but I could definitely be mistaken! This was at the Cliffs of Moher, which was awesome! It wasn’t this misty all the time, it cleared up every now and again, but having a misty photo is a must when you go to Ireland! Afterwards I stayed with my mum for a week because we were both home alone and we decided to team up instead! I’m really happy I went there because we just had a really nice time and the weather was pretty decent as well so we could go swimming together in the nearby lake and stuff like that (my boyfriend generally doesn’t care for swimming, so this was a nice change from that!). Directly linked to the week where I stayed over at my mum’s with my mum, I stayed over another week there, but this time with my boyfriend and without my mother. She was on holiday with a friend and she asked if we could take care of the dog and cats while she was away. And so that’s what we did. I love those animals dearly, but they are a lot of work! Especially when you have to fit everything around your working day. But we came through unscathed and had a lot of time in our tiny zoo! And now we’re back home and there has been work, I’ve been swimming, I’ve been getting ready for my 10K run, I’ve been meeting with friends and family, in short I’ve been busy this summer and I’m loving it. What have you guys been up to recently?